The Ohio Talent Development Network Resource Center manages the contract for WorkKeys enabling state-wide reporting on over 70,000 Ohioans that have earned the National Career Readiness Certificate (NCRC) credential. OTDN member schools throughout the state administer tests that lead to NCRC credential which verifies that an individual has essential core employability skills in Mathematics, Locating Information, and Reading for Information. WorkKeys® system is used by thousands of companies worldwide to help select, hire, train, develop, and retain a high-performance workforce. ATG builds productive individuals and organizations by helping you select precisely the right person for every job, build more effective teams, strengthen leadership, facilitate organization change, improve employee productivity and commitment, and operate at peak performance with lower costs. ATG partners with some of the world’s leading assessment vendors to enhance and extend the value of their products. Popular tools include: Pelocity, a career decision tool for individuals to make better academic and career decisions; and the MAXXattain Scorecard Report, a product that helps predict success on a job which benefits the employer and the applicant. This can also be used for academic and development decisions for an individual. Certiport is dedicated to helping people succeed through certification with globally recognized credentials aimed at enhancing individual productivity, marketability, and value. Certiport provides certification candidates with learning materials and certification practice tests to prepare them for high-stakes, career-oriented certifications and manages a sophisticated portfolio of leading certification programs. The Manufacturing Skill Standards Council (MSSC) is an industry-led, training, assessment and certification system focused on the core skills and knowledge needed by the nation’s front-line production and material handling workers. The nationwide MSSC System, based upon industry-defined and federally-endorsed standards, offers both entry-level and incumbent workers the opportunity to demonstrate that they have acquired the skills increasingly needed in the technology-intensive jobs of the 21st century. MSSC offers Certified Production Technician and Certified Logistics Technician certifications. Nocti Business Solutions serves the needs of business and industry in high-stakes occupational competency testing services as a job skills assessment company. These services are targeted to industrial, business, military, and municipal sectors and are typically used for pre-hire/post-hire decision-making and training purposes. The flexibility of offering online, paper and pencil and hands on assessments to evaluate current or prospective employees is a unique benefit of NBS. A number of OTDN member schools are Pearson VUE Testing Centers. Pearson VUE delivers millions of high-stakes tests a year across the globe for clients in the licensure, certification, academic admissions, regulatory, and government testing service markets. It boasts the world’s leading test center network, with over 5,000 test centers in 165 countries. IT certification and GED assessments are the most popular assessments at our Testing Centers. 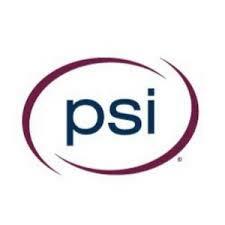 PSI is a leading provider of wide-ranging talent acquisition, evaluation and development solutions for corporate and government clients worldwide. Offering the industry’s most diverse catalog comprised of hundreds of professionally developed cognitive, personality, biodata and multi-rater feedback assessments from more than 50 top publishers. Mechanical comprehension, mechanical reasoning and customer service assessments have been the most popular among our customers from our member schools. Ramsay Corporation is a privately held human resources company that has served over 4,000 clients, including one-third of the Fortune 100 companies. This test publisher has developed diagnostic and selection tests and performance assignments for operators, technicians, and maintenance groups or entry level to journeyman level tests. Ramsay offers attitude, knowledge, management skills, and team membership quality tests. The most popular tests among our customers include electrical, mechanical, and electronic aptitude tests and machinist skill assessments. Ruffalo Noel-Levitz is distinguished by its powerful array of technology-enabled enrollment and fundraising services that have been used by more than 3,000 colleges and universities and numerous nonprofit clients worldwide. They help clients identify, reach, and connect with their key markets and constituents at pivotal moments–from admission and financial aid to student success, alumni engagement, and fundraising. The most popular assessment among member schools is the College Student Inventory (CSI) assessment which helps schools provide the supportive services the student identifies as most needed to succeed in school. 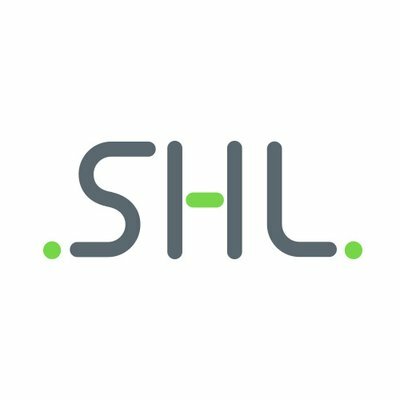 SHL Talent Assessments provides pre-employment screening tests and employee assessment solutions that help organizations connect employment decisions with business results. Following the rigorous standards of industrial-organizational psychology, SHL Talent Assessment’s testing accurately predicts on-the-job performance and supports fair hiring practices. Their products are used by more than 10,000 organizations worldwide, including over 100 of the Fortune 500. Our customers and schools utilize assessments to determine the best candidates for manufacturing, customer service, management, clerical positions and more. Assessments to determine basic computer literacy and Microsoft Office products are very popular. Sterling Talent Solutions is the fourth largest provider of employment and student screening services, background investigative services and occupational health services in the United States. Sterling provides customers with a one-source solution to effectively onboard and manage their workforce. They annually perform millions of background checks, drug tests, and other key verification, screening and assessment services. Drug testing is the most popular service among our schools. Vocational Research Institute offers solutions that enhance career and educational planning, improve employability, and result in better opportunities and more positive outcomes for individuals. Their most popular assessment is CareerScope, an instrument which helps measure an individual’s career interests and aptitudes to help them make the best academic and career decisions.